Benjamin Lê Cook, PhD, MPH is Director of the Health Equity Research Lab and the Center for Multicultural Mental Health Research, Director of Research, Department of Psychiatry at Cambridge Health Alliance, and Associate Professor, Department of Psychiatry at Harvard Medical School. His research interests are in improving methods for measuring disparities, and applying these methods to understanding the mechanisms underlying mental health and substance abuse treatment disparities, the association between acculturation and mental health, and geographic differences in mental health service use disparities. He received a Ph.D. in Health Policy at Harvard University concentrating in Evaluative Science and Statistics, an MPH from UNC-Chapel Hill in the Department of Health Behavior and Health Education, and a BA in psychology from Swarthmore College. Nicholas Carson, MD, FRCPC is an Assistant Professor in Psychiatry at Harvard Medical School and a Clinical Research Associate at the Health Equity Research Lab and the Center for Multicultural Mental Health Research. He is also Medical Director for Child & Adolescent Outpatient Psychiatry at the Cambridge Health Alliance, leading services in outpatient, school-based, and integrated care settings. He enjoys teaching clinical scholarship and psychopharmacology to child psychiatry fellows. Dr. Carson's research interests include the application of natural language processing and machine learning approaches to support adolescents at risk for severe psychiatric outcomes, such as suicide and psychosis. He studies the quality of mental health services for multicultural communities, particularly among youth, and pursues coproductive performance improvement strategies to support shared decision making with families. He is also interested in the impact of mass media and technology on youth development. Dr. Carson received his BA and MD from McGill University, completed his Psychiatry residency at the Hospital of the University of Pennsylvania, and completed his fellowship training in Child and Adolescent Psychiatry the Cambridge Health Alliance/Harvard Medical School. Ana M. Progovac, PhD is Instructor of Psychiatry at Harvard Medical School and Senior Scientist at the Health Equity Research Lab. Her research focuses on improving the quality of mental health care in the U.S., with a focus on reducing disparities for underserved populations. Dr. Progovac’s projects use a variety of research methods, including quantitative, qualitative, mixed-methods research, implementation research methods, and community-engaged research. She is interested in approaches to improve mental health that span across systems, and therefore enjoys collaborating with students, community members, other researchers, clinicians, administrators, and policy advocates. She is currently the Primary Investigator on an NIMHD R03 award (and past recipient of a Harvard Catalyst Health Disparities Pilot Award) which both focus on measuring and reducing mental health care disparities for gender minority individuals in the United States. She is also the recipient of a Harvard Medical School Department of Psychiatry Kaplen Award to conduct a mixed-methods analysis of an implementation of a behavioral health home for patients with serious mental illness, as well as its potential for dissemination to additional sites within Cambridge Health Alliance. Dharma recently joined the lab as a Co-Investigator. She received her Bachelor’s degree in Psychology and a Master’s degree from the University of Puerto Rico, a Doctorate degree in Sociology from Fordham University, and completed her post-doctoral training in Medical Anthropology at Harvard Medical School’s Department of Social Medicine. For more than twenty years Dr. Cortés has been conducting community-based research with Latinos in the U.S., focusing on acculturation, health, mental health, and access to healthcare. She has contributed as principal investigator, co-investigator and consultant to studies funded by the NIH, the Centers for Medicare and Medicaid Services, and the Robert Wood-Johnson Foundation. 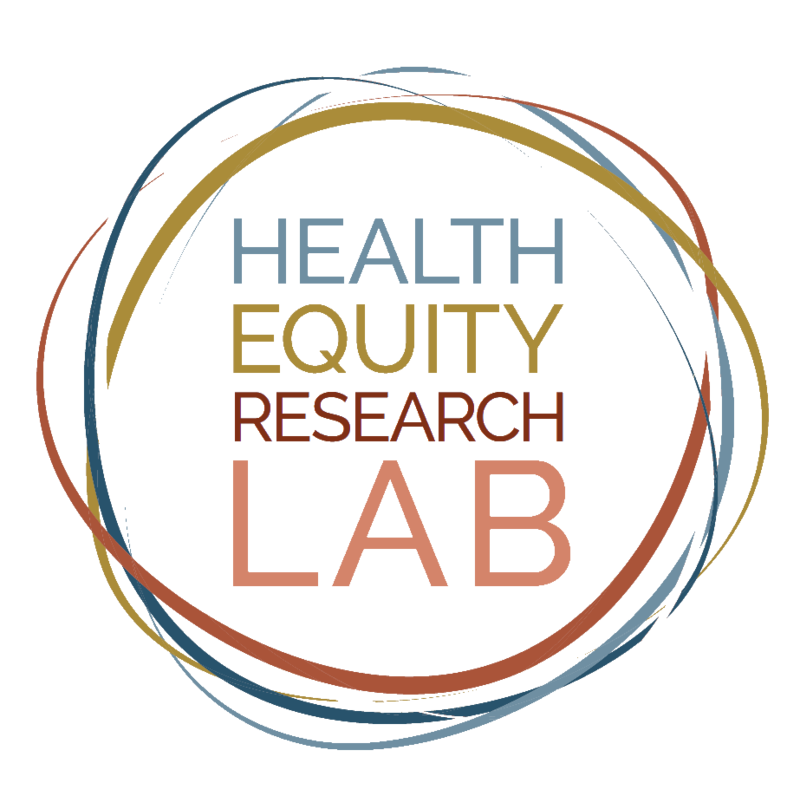 Michael Flores is a Research and Evaluation Scientist at the Health Equity Research Lab. He is a graduate of the doctoral program in Health Services Research at the Brown University School of Public Health. His dissertation evaluated the impact of access and utilization of health services among Medicaid beneficiaries with serious mental illness of Rhode Island’s Medicaid Health Home through the use of quasi-experimental methods and longitudinal administrative claims data, His research interests include access and utilization of health services by populations with mental illness, healthcare integration, implementation science, social determinants of health, racial/ethnic disparities, community-based interventions, and patient-provider communication. Michael received his BA in Spanish Literature and Latin American Iberian Studies from the University of California, Santa Barbara, and an MPH in Health Policy from Fresno State. He is fluent in English and Spanish. Leslie Adams is a David E. Bell Postdoctoral Fellow at the Harvard Center for Population and Development Studies and collaborator with the Health Equity Research Lab. She completed her doctorate in Health Behavior at the UNC Gillings School of Global Public Health. Her research interests explore the intersections between masculinity, racial identity, and mental health service disparities among Black men. This work, which is shaped by behavioral theories in psychology and public health, has a central focus on factors that drive initiation and retention to mental health care. Currently, her research examines relationships between depressive symptomatology and health services utilization using a mixed methods and community-engaged approach. Her research agenda also focuses on populations across the African Diaspora with emphasis on Black men residing in the United States and South Africa. Previously, Leslie has contributed to community-based research studies examining the relationship between neighborhood contexts and risk-taking behavior in Black communities. Leslie is from Atlanta, Georgia and earned her B.A. and MPH from Dartmouth College. Aaron Samuel Breslow, PhD is a postdoctoral Research Fellow in Health Disparities and Multicultural Mental Health with dual affiliation at the HER Lab at Harvard Medical School and the PRIME Center for Health Equity at Albert Einstein College of Medicine. He is also a Behavioral Health Fellow at the Einstein-Rockefeller-CUNY Center for AIDS Research and Adjunct Assistant Professor at Columbia University. Dr. Breslow received his PhD in Counseling Psychology from Teachers College, Columbia University and completed his pre-doctoral clinical training at NewYork-Presbyterian/Columbia University Medical Center and Montefiore Medical Center. His research aims to identify strategies to promote LGBTQ+ health and mitigate the psychological burdens of HIV stigma and criminalization. He received his BA in Women’s, Gender, and Sexuality Studies from Brandeis University and is Co-Founder of Queer Anga, a community-based wellness collective in Brooklyn, New York. Brian Mullin is a Senior Data Analyst at the Cambridge Health Alliance and the Health Equity Research Lab. He specializes in quantitative analysis and uses his expertise to answer questions, concerning health policy, using raw data. Brian graduated Boise State University with a degree in Economics. His previous work experience includes Senior Research Analyst for the state of Idaho. He also worked as a Senior Programmer for Abt Associates, a Senior Data Analyst for Neighborhood Health Plan, and a Senior Data Analyst for the Mental Health Services Program for Youth in the Greater Boston Area. Most recently, Brian worked as a Senior Medical Economics Analyst for the Boston Medical Center HealthNet Plan/Well Sense Health Plan. Yanyi is a Data Analyst at the Health Equity Research Lab. Yanyi's work at the lab includes the analysis of large health datasets and natural language processing/machine learning workflow design. Yanyi holds an MS in Applied Statistics and Psychometrics from Boston College and a BA in Psychology from Brandeis University. Angela Orangio is the new Operations Manager of the Health Equity Research Lab. She has her BA in Business Administration from Boston College, and her varied past work experiences include: birth doula, childbirth educator; breastfeeding counselor; and long term natural gas supply contracting. For the past 12 years she was the Community Health Worker at CHA’s Cambridge/Somerville Healthcare for the Homeless team. She is excited to continue to support work on a team that will give voice to underserved populations. Margo is a Research Assistant at the Health Equity Research Lab. She earned her BA in Sociology and Women and Gender Studies at James Madison University. She was previously an AmeriCorps Fellow for a nonprofit in San Diego, where she worked to coordinate educational and mentorship programs for Latina women. Her research interests include systemic health disparities, sexual and reproductive health, and race/ethnicity health access. Nathaniel is a Research Assistant at the Health Equity Research Lab. They earned their BA in Women’s, Gender, and Sexuality Studies with a concentration in Health, Culture, and Vulnerability and Spanish from Tufts University. They were a 2018 Fulbright Scholar at the University of Buenos Aires. Other experience includes with Rice Women’s Resource Center, Dana-Farber Cancer Center, South End Community Health Center, and The Sharewood Project with Tufts University School of Medicine. Their research interests: community-engaged research, mixed-methods research, LGBTQ health, ethnic/racial minority health disparities, social medicine, and history of public health. Fred is a Research Assistant at the Health Equity Research Lab. He received his BS in Biology from Tufts University and is a two time former summer research intern at the HER Lab. As an undergrad, he also did research in the Tufts Department of Biology and Department of Community Health. He also has work experience in EMS and in a local emergency department. His research interests include systemic health disparities, healthcare delivery, mental health, and emergency care. Esther is a Research Coordinator at the Health Equity Research Lab. She recently completed her Bachelor at Wellesley College majoring in Women's and Gender Studies with a Global Health Concentration. Her research experience includes rotations at the Kenya Medical Research Institute as well as at the MIT Undergraduate Research Opportunities Program. She is interested in doing research related with gender and race/ethnicity health access. Our lab alumni go on to do great things!